What is the Role of Insulin on Heart Health? If you have type-2 diabetes there are many ways to receive insulin, such as rapid-acting insulin, short-acting insulin and long-acting insulin. Long-acting insulin can last from 24 to 36 hours after administered. 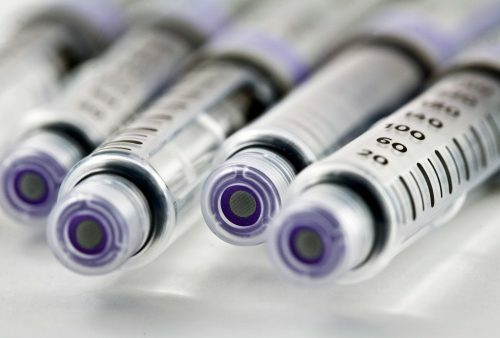 The purpose of long-acting insulin is to provide insulin for the whole day, as opposed to rapid-acting insulin which is intended to reduce spikes in blood sugar post-meal and only lasts for about five hours. Recent research reveals that the use of long-acting insulin will not increase the risk of myocardial infarction (heart attack) in those with type-2 diabetes. The study comes from researchers at the Leibniz Institute for Prevention Research and Epidemiology in Germany. 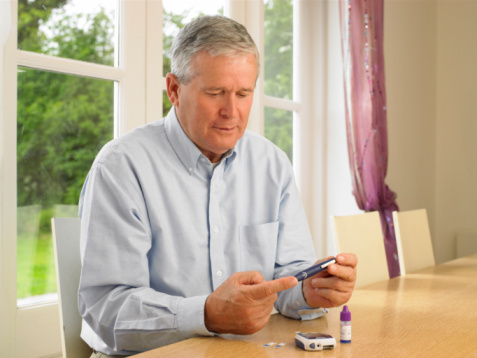 Researchers examined data from 21,501 individuals with type-2 diabetes. The participants just began using insulin – some used premixed insulin, some analog insulin and some neutral protamine Hagedorn (NPH). Findings revealed there was no significant increase in the risk of heart attack from any of the three types of long-acting insulin. The findings were published in Diabetes, Obesity and Metabolism. An alternative study from Japan, however, did find that long-acting insulin could be harmful in patients with type-2 diabetes who also had hypertension. The research was conducted on mice, and it revealed hypertension induces liver cells which are resistant to insulin. This enhances insulin signaling to the heart. This enhanced signaling to the heart increased the mice’s risk of heart failure. It’s imperative that a person with diabetes be weary of insulin if they have hypertension. Additionally, a person with hypertension and diabetes should further work to maintain healthy blood pressure numbers. The findings were published in the Journal of Clinical Investigation. Insulin is produced by the pancreas and plays a large role in metabolism – how the body breaks down food to produce energy. Food is broken down into what is called glucose which is a form of sugar. When glucose enters the bloodstream it becomes absorbed, with the help of insulin, into the cells which produce energy. 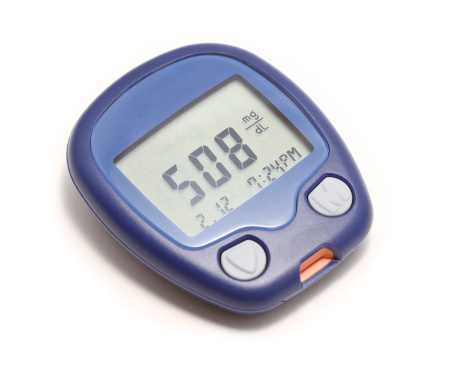 Insulin plays a role in blood glucose control. Due to the glucose produced from the breakdown of food, insulin is released from the pancreas after a meal. Insulin helps muscles, fat and liver cells to absorb glucose which then lowers glucose levels found in the bloodstream. Insulin also stimulates the liver and muscle tissue to store excess glucose – this form of glucose is called glycogen. Lastly, insulin further reduces glucose by reducing the amount produced by the liver. When a person is healthy glucose and insulin work together to maintain normal levels of each, but in a person with diabetes – where there is too much or too little insulin or the body is resistant to insulin – insulin has to work harder to remove or compensate for the glucose. Insulin resistance occurs when the body produces too much insulin and doesn’t know how to use it correctly. In those with insulin resistance, glucose builds up in the bloodstream instead of becoming absorbed by the cells – this is how diabetes and prediabetes occurs. Insulin resistance can go undetected for many years (prediabetes) and is often only diagnosed when it has progressed into diabetes. If a person becomes aware of their insulin resistance in the prediabetes stage they can partake in certain habits to reduce their risk or prevent the onset of diabetes. Insulin resistance is often symptomless, and a person may have it for many years and not know until it develops into diabetes. Having certain characteristics may offer insight to doctors as to whether or not a person has insulin resistance. Severe insulin resistance does show some symptoms, such as dark patches that appear on the skin around the neck, knees, knuckles and armpits. Enjoy foods rich in antioxidants – berries, pomegranates, etc. Not only will these tips help better improve your diabetes, they can work to protect your heart as well. By taking the necessary steps to better manage diabetes you can reduce your risk of additional health complications – especially ones which may impact your heart.